I went on a bit of an adventure through YouTube this morning. I absolutely love the creativity of others. Perhaps one day I’ll be able to design some boxes on my own. I believe it is all a matter of time . . . and a full large zip-lock bag full of scraps from failed attempts. I do believe it is important to experiment . . . you’re one step closer each time to creating something spectacular. Yes, I am a bit of an optimist . . . better than being negative. That’s what keeps me going and trying . . . The truth is, each time, I’m learning something new . . . and with that I continue working towards achieving something original . . . then things will begin moving positively. I would love to give credit where credit is due . . . but at this moment I’m unable to recall where I learned this bit of wisdom. It was a woman . . . who said . . . to create boxes, you need to know the basics . . . and from there you can allow your imagination to go wild . . . and begin creating different shapes and sizes. I do remember the woman was selling a cutting and scoring contraption that made just about everything except coffee in the morning. So, I’ve been on a quest . . . I didn’t buy her product . . . I bought the American Crafts We R Memory Keepers 123 Punch Board. I liked the idea that I could make envelopes, boxes and bows. There’s also an extended gizmo for making diagonal lines on larger paper. There are so many contraptions one can buy . . . it seems that once you buy one, there are several more you may need to buy. That happens quite a lot when you’re getting into crafts of any type . . . there is always something else to buy . . . So, that’s why I bought this one instead of buying them separately. Yes, as usual, I did go off on a tangent . . . I suppose it demonstrates the journey I’ve been on . . . and one you may find yourself on once you get into creating boxes and other crafts with the envelope punch. Yes, I did promise you a video tutorial . . . I didn’t forget! I hope you are as inspired by this as I was. I think these would be lovely for your Easter Sunday guests . . . everyone, young and old, loves to have a special box of yummies to take home . . . it seems to extend the event . . . just a little bit longer . . .
I’ve been watching a lot of “how to” YouTube Videos lately. I’ve even thought of making some of my own. I love doing Christmas crafts throughout the year and I also like having some fun with Halloween. I do love the vintage feel of these holidays. They’re a time of memories and just having some fun. You remember how it was when you were a kid. It was all so magical. I like my crafts to reflect that magic and fill me with joy . . . if it’s making an album or scrap book page, it’s all about having fun and creating something out of paper and chip board that will be delight you and those who see it. 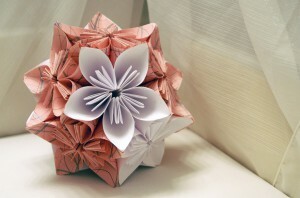 I am amazed by what can be created from paper. I’ve given you many links of paper crafts you can print out and make . . . some you can fill with goodies or just set up as a decoration. As with all crafts, they can be expensive, but essentially, they are a fun way to pass the time either alone or with others. I was surprised to learn that I could use my camera to make videos. It’s just all a matter of setting up my camera on a tripod and gathering up my materials to make a tutorial. I think it will be fun . . . it’s just getting to it. I was watching a video a woman had made 3 years ago. 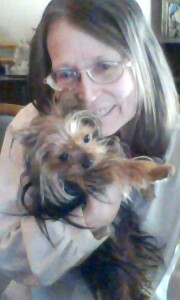 It was a windy day and she was distracted by the wind and the bangs and booms she was hearing outside. She moved the camera from her tutorial to show us what was going on outside her house. Yes, the wind was blowing and trash barrels were rolling around making such a racket. She even had her husband break out in song downstairs. I think it is absolutely delightful to record a video and make a comment about what is going around while you’re recording. Yes, not everything is ideal. We do drop things and our pets or children come running through . . . the doorbell may ring . . . it could rain or snow . . . or be windy . . .
We can avoid some noise by not doing our filming during noisy times of the day, but not everything is ideal. Some people may not like the distractions. They “tuned in” to see how to do a project and they don’t care about the weather conditions. But I found it interesting. It made the woman real . . . just like us. We do have distractions in our lives. Most of them are unexpected. I find it interesting how others react to them. I would be just like the woman and show you what is going on outside. I find it better than getting annoyed. Maybe that’s what makes vlogging so popular. I’m really not one who would record my grocery shopping or running errands. But many people do and they’re surprisingly popular. Some focus around the activities of their kids. Others include their friends. There are those who take you with them to fix breakfast or dinner. Or go out to a restaurant or fast food place. I haven’t seen too many vlogging out and about, but maybe I haven’t been looking that closely. I’m usually tuned in to what I’m doing. But, it could be helpful when you’re looking for a new printer or laptop or whatever you’re thinking of purchasing. Or you’re just looking and gathering information before you buy. You’d be amazed by what people want to buy. And sometimes, you find yourself interested in that, too. I was talking with my brother last fall . . . He told me he was shopping at Lowes. Yes, people watching is a favorite past-time of many. That may be why vlogging is so popular. Allowing others a glimpse into their lives. It does seem a bit creepy to realize that we are being recorded wherever we go. There are cameras in stores and on the streets and parking lots. And, of course, people may be doing their own recordings, too. Someone sitting on a bench or walking through a store. You never know what you’ll find. Just as doing my own video tutorials at home. I do need to figure out how to set us my camera. I don’t want to attach it to the wall or build some contraption . . . but maybe I’ll need to. The most important thing is not to break my camera in the process. I know there is a simple way of doing it. There usually is after exhausting other ways. I may be straddling the tripod or have it set up over my work space. 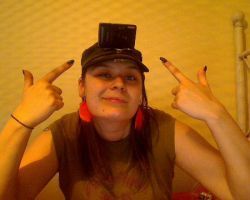 I don’t have a flip out monitor on my camera . . . some have used a mirror . . . other do a hit or miss process . . . and do learn along the way where the camera is focused. I’m going to do a lot of trial and error. It will be interesting to see how this works for me. But, first I need to decide on a project . . . and it doesn’t hurt to plan ahead instead of doing it on the fly . . . but that could be interesting, too. When I think about it, I do like it when people are prepared. I can follow along. But, then there are always things that do go wrong . . . especially with crafts . . . the glue sticks and won’t come out . . . or a glue gun that doesn’t work . . . or a piece that doesn’t fit right . . . I do have some interesting adventure ahead. Let me know your suggesting when it comes to vlogging or making tutorials. I fell in love with Thumper when I first saw him in Bambi. So every spring and Easter, I get thinking about him. 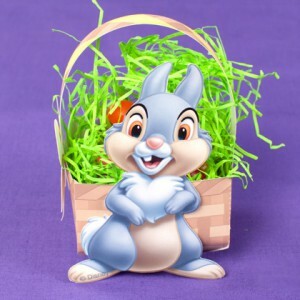 Initially, I was thinking of just printing out Thumper and forgetting about the basket. I would love to make other crafts using his image throughout the year. Wouldn’t he look great wrapped up in Christmas lights? If you do want to print out and make the Easter Basket, just click the image and you’ll be taken to the download and print page. You can definitely have some great fun filling these Easter baskets with goodies for your family, friends and neighbors. I would print these out on cardstock and maybe reinforce the pieces by gluing them on chip board or old cereal boxes or soda can boxes or any cardboard you have around. If you plan on putting Easter eggs in them, the baskets may not be sturdy enough to hold them. Or put a note on them to pick up and support the bottom of the basket. There’s also the Thumper 3-D Easter Card you may want to make. Spring seems to be in the air . . . no better time than to get thinking about Easter. It will be here sooner than you think. Yes, it seems easy enough. 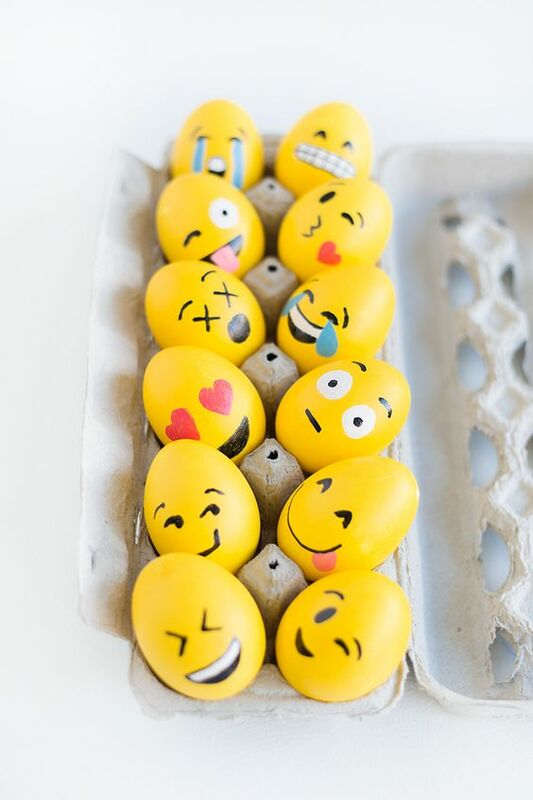 Just die your eggs yellow and with an appropriate marker draw the emoji of your choice. This would definitely be a fun family project. I’m sure you could find some appropriate stickers you could use as well. That’s why it’s a good idea to think ahead for your various do it yourself projects. All of us have our favorite emoji . . . I can see them on Christmas ornaments, too. There’s another project to think about ahead of time. This could also work when cutting our your Halloween pumpkin . . .
You may also find some stencils that might work. At least for those of you who don’t feel all that artistic. I’m sure you’ll do quite fine on your own . . . just get into it and see what develops. Get into that childhood mode of being creative and doing your best. Have fun and enjoy yourself. Oh yes, we can’t seem to escape butter beer. Yet another recipe with the butter beer theme. This time it is fudge . 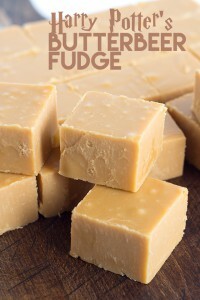 . . and no one can resist fudge! Prepare an 8 x 8 inch pan by lining it with aluminium foil and spraying with non-stick cooking spray. In a saucepan, put in the butter, half and half marshmallow cream and sugars. Stir to combine over medium heat. Once the mixture comes to a boil, allow to boil for 5 minutes. Remove from heat and add in the extracts and butterscotch chips. Mix until the chips are completely melted. Pour into the prepared pan and give it a few taps to smooth the top. Place pan in the refrigerator and chill. When ready, cut and serve.